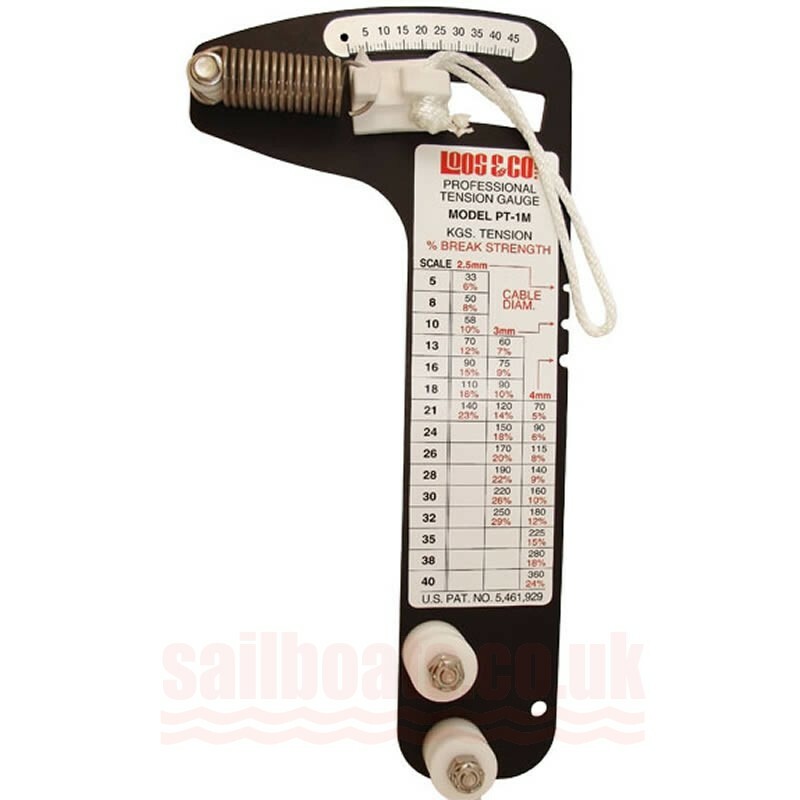 The Loos “Professional Model” tension gauge is designed to provide an accurate measurement of the tension in rigging wire and other types of cable used in recreational and industrial applications. It is particularly useful for accurate and repeatable tuning of a sailboat’s standing rigging. An inexpensive yet accurate method of checking cable tension. Ideal for determining loads on sailboat rigging, guy wires, fences, or any application where cable or wires are installed under load. Manufactured of rugged anodized aluminum, this gauge is corrosive resistant and will give years of service. >Higher accuracy and easier to use than standard models. The cable can be adjusted while the gauge remains on the cable. "Just watch the pointer move.